Tuesday is Taco Tuesday's at our house. 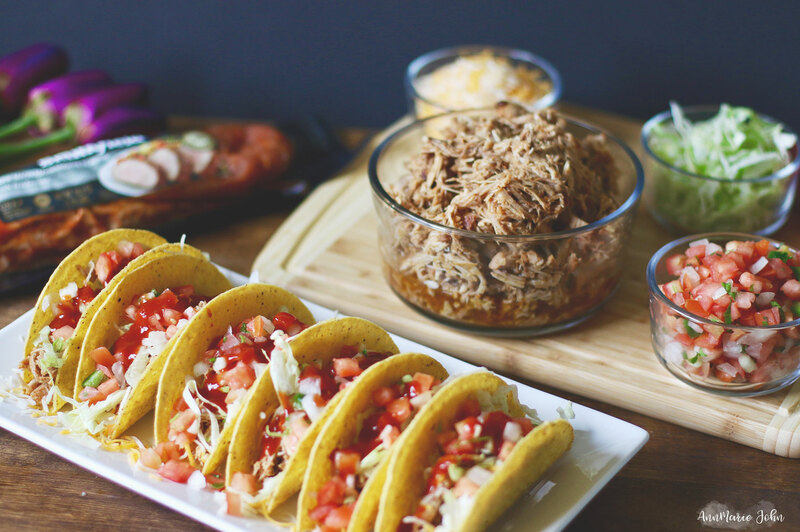 Learn how to make this delicious shredded pork tacos for dinner with Smithfield® Marinated Pork. School is officially back in session and has been for our kids here in Colorado for the past two weeks. With driving the kids to and from school, helping with homework and doing all the other chores in-between, there really isn't much time left for myself. I also have to think about dinner and what I can do that's quick, doesn't take up too much of my time, and in turn leaves me with some time to really enjoy with the kids before it's time for bed. Tacos have always been a favorite of mine and as I mentioned, Tuesday's generally taco night for us. 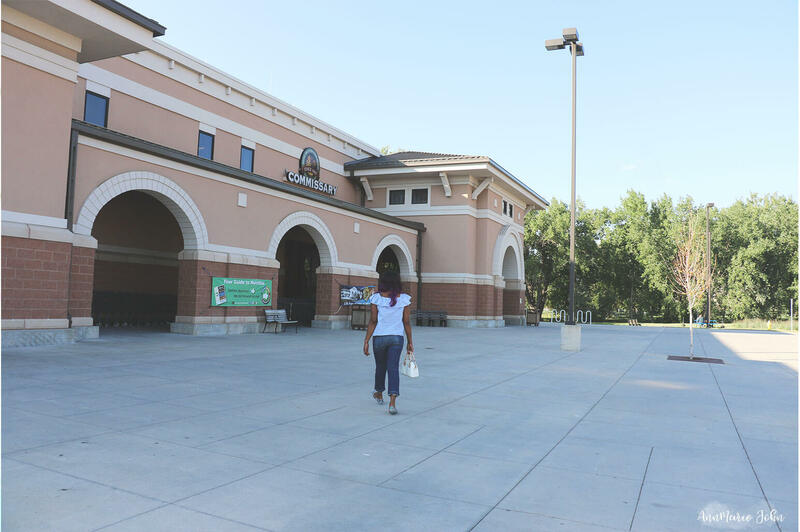 With my list in hand, I decided to head to my local commissary to get my ingredients. As a retired military veteran, I love beating the rush and taking advantage of the early bird shopping. It's generally when most of the soldiers are at home after an early morning of PT and their wives or husbands are taking their kids to school, or are at work. I just love having the store to myself and taking my time through the aisles whilst looking for what I need without having to say "excuse me". My husband has been saying that we needed to change up our recipes and do "something different" every once in a while. So instead of the regular beef or chicken tacos, I decided that we were going to use pork instead. However, I had no idea what to expect in the pork department, and was I surprised. There sitting on the shelf were a variety of Smithfield brand marinated fresh pork, already prepped so my prep time is done for me. How much easier does it get than that? I couldn't believe my eyes and my good luck. There was definitely going to be a change, and it was going to be shredded pork taco night! Excuse my wrinkled shirt - ain't nobody got time to look cute after dropping the kids off to school then heading to the supermarket. 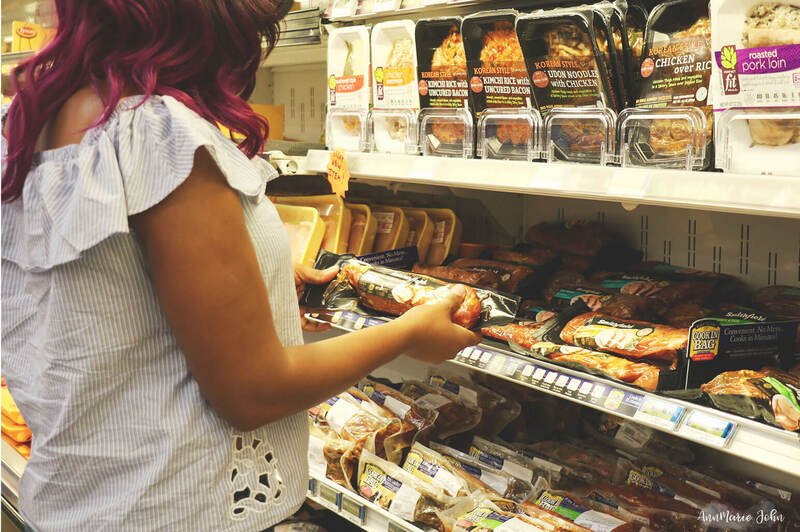 With all the different flavors across Tenderloins, Loin Filets and Sirloins, how could I even begin to choose. Then right there in-front of me, I saw it! It was the Smithfield Slow Smoked Mesquite Flavor Marinated Pork Tenderloin, made from 100% fresh pork and packed with protein, I knew I had to have it. It was what we were going to have for dinner. So I grabbed three packages. I wanted to grab them all but I had to leave a few for the other shoppers. Don't be greedy AnnMarie! I made it home, took it out the package, and the aroma was unbelievable. I placed it in my instant-pot and let it slow cook until it was time for dinner. I wanted it hot and steaming and while I wanted it then and there, I had to wait until dinner time. This dinner will literally take you less than 30 minutes to make! 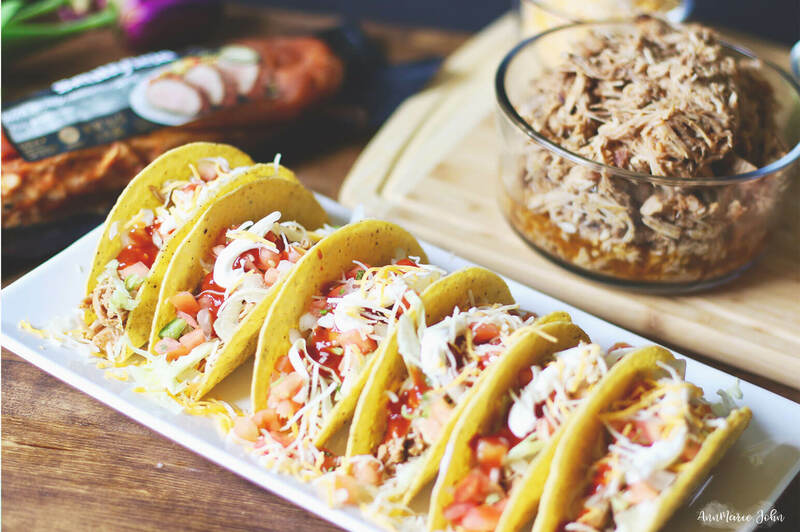 Step 1: Place your Smithfield Marinated Pork along with your taco seasoning in your instant pot or slow cooker, and cook according to directions on your cooker. You can prepare this in advance so when dinner time is near it will be finished. Step 2: Once your pork is finished, remove from your cooker and shred with two forks or your fingers. Step 3: Fill your taco shells with your shredded meat and your desired toppings. Now my family thinks I'm even more awesome, if only they knew that Smithfield was the real reason behind my amazing tacos. They even declared that my shredded tacos were the bomb and insists that I make them again. All in all, our Tuesday Taco night just got revamped. I got my meal done in less than 30 minutes and they got to spend more quality time with me. Doesn't get any better than that! For more quick and easy meal ideas that takes 30 minutes or less visit Smithfield Meal Ideas. On 9/1 be sure to revisit and enter for your chance to win a trip to wine country in the Real Flavor Real Fast Contest, by submitting your own tips on how you can get your own dinner ready in 30 minutes or less using Smithfield® Marinated Fresh Pork. This sounds perfect for taco Tuesday! I will have to make these for the kids next week. I have got to start a taco night at our house yours look so good. That pork is a meat my kids don't get too often but if they are not vegetarian this week I would make it. Those look super tasty! I cook with pork all the time, but I've never tried making tacos like this. Thanks for the idea! These looks so yummy. I normally use beef when I make tacos, but I can't wait to switch it up and use pork. Nice work! I'm fairly obsessed with the Smithfield brand as a whole. I buy them all the time! And I missed Taco Tuesday but I say it's never too late. I had never thought about doing shredded pork tacos, we always do beef tacos. I will have to try this because I know that it will be something different. I have been really trying to make one meal each week that's new for the family to try! Those look so great. The pork definitely adds a yummy twist. That pico looks great. How easy that marinated pork makes this dish! You save hours of cooking and still get great flavor. I love your recipe! Yum! Even thought cooking is not really my thing but I think I can tackle this one. Looks amazing! My husband loves pork and wishes we'd have it more often. He would absolutely love these tacos, and I like how simple they are to make. Now I really need to go buy some taco fixings. I've been craving them lately so this post is a sign that I can have them and make it a quick and easy recipe to whip up. Yum... Sounds like a great way to change up Taco night a bit. Tacos are easy but sometimes boring, will add this to our menu. We LOVE taco night at our house! Shredded pork tacos are so tasty! This looks super yummy! I would definitely make this for the kids. ooo these look delicious! Plus they are fairly simple when we have a busy day! Yummy! 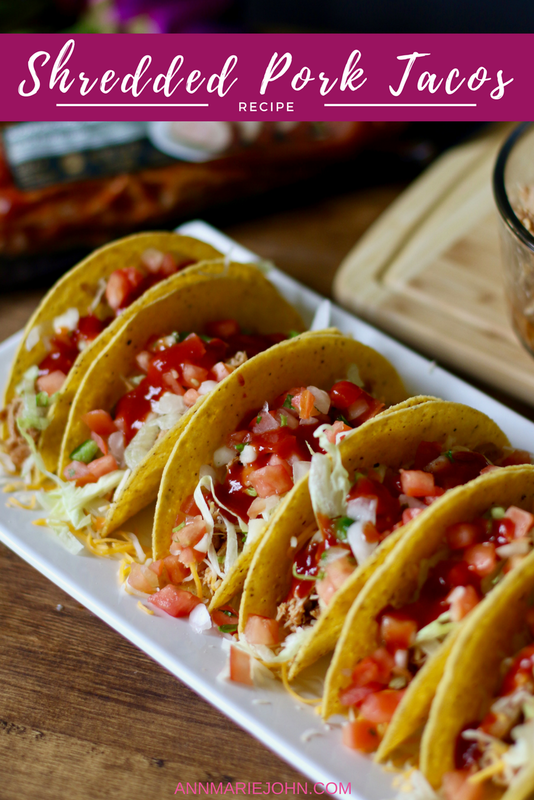 I LOVE tacos and that shredded pork recipe is amazing! I think I will give it a try! Thanks for sharing! I love going to the store when it's not busy as well. No shovy people! 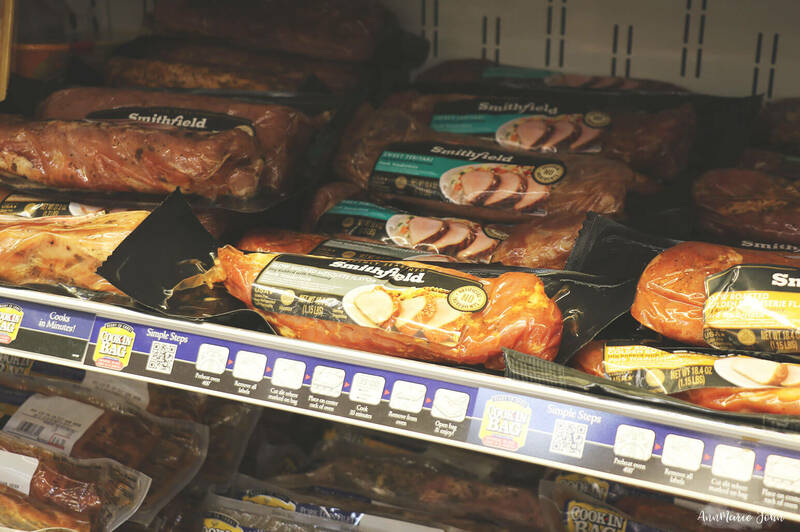 Smithfield is seriously one of our most used brands. Love it! I love, love, love tacos! Any flavor. LOL Some of my favorites are seafood tacos. So refreshing in the summer. These look so yummy. Will have to save this recipes for sure. Awesome idea. I must try that taco recipe of yours. I mean, how easy is that! Pre-cook the meat in a slow cooker and then assemble the tacos at dinner time! Fantastic. YUM! These look fantastic! 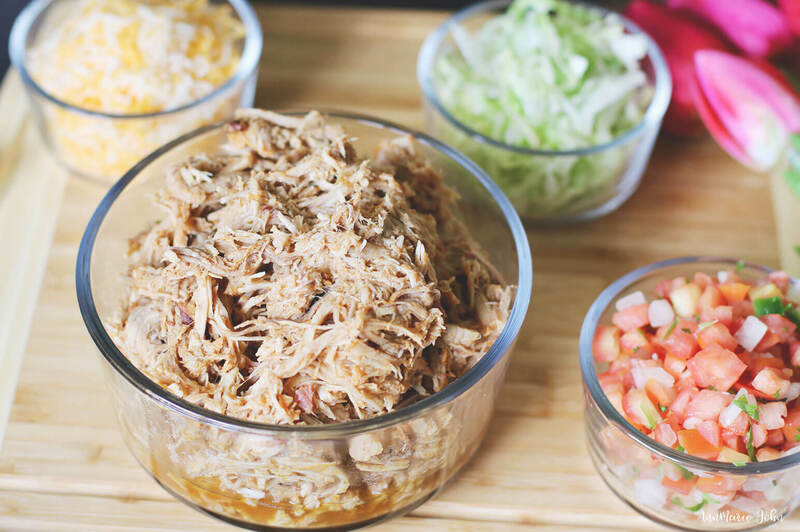 They look perfect for our next Taco Tuesday - I've never tried shredded pork tacos before! Now we're talking! I love that it's already marinated so you don't have to do the marinade yourself and wait a couple of hours. That makes life convenient! It's an awesome recipe, not just for dinner but for movie night as well. The family will definitely enjoy this! Oh, these look fabulous! My daughters love tacos and my husband really likes shredded pork. Perfect combination for my family. Oh my I have never had shredded pork tacos before and this looks absolutely delicious! I think I may be making this for our own Taco Tuesday. I just have to find Smithfield Marinated Pork in my supermarket. No commissary for me. I LOVE Tacos, and eat them all the time, even when it's not Taco Tuesday! LOL Thanks for this easy recipe idea! 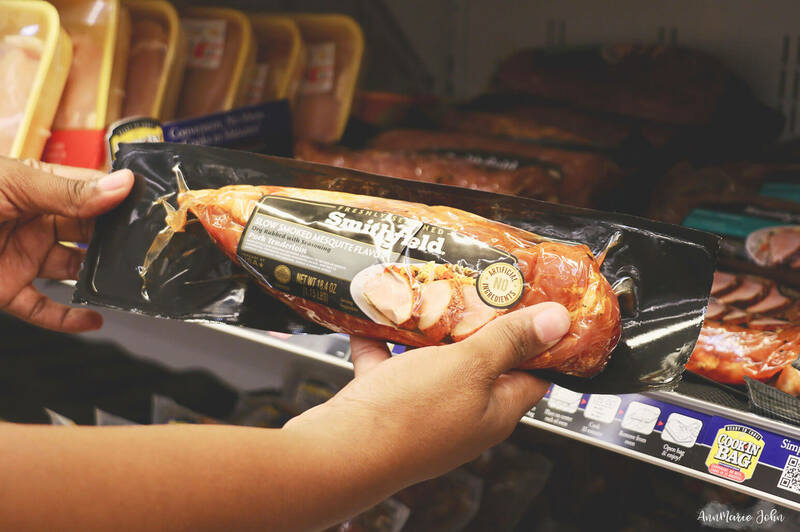 Smithfield is one of my favorite go-to brands!